It is a matter of heart-rending grief that on Monday, 15 October 1984, the day of Kṛṣṇa-ṣaṣtḥī, on the occasion of Śrī Śrīla Narottama Ṭhākura Mahāśaya’s disappearance, a supremely dear disciple of my most worshipful śrī gurupāda-padma and a recipient of his affection left this world. At approximately six in the evening, Śrīla Prabhupāḍa’s last sannyāsī disciple, our godbrother parama-pūjyapāda tridaṇḍi-svāmī Śrīmad Bhakti Vicāra Yāyāvara Mahārāja, entered nitya-līlā in Śrī Śyāmānanda Gauḍīya Maṭha in Medinīpura while fully conscious and remembering the beautiful lotus feet of Śrī Śrī Guru-Gaurāṅga Gāndhārvikā-Giridhārī-jiu amid a grand saṅkīrtana performed by the resident devotees of the maṭha. 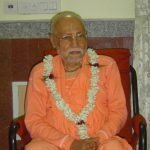 From this song, we learn that pūjyapāda Mahārāja went to Śrī Jagannāthakṣetra and took shelter at the lotus feet of the Lord of the universe, Śrī Jagannātha-deva, with the hopes to soon meet a bona fide guru. Śrī Jagannātha, who is supremely compassionate and affectionate to those who take His shelter, quickly arranged for him to meet a bonafide guru and come in contact with His identical manifestation, the most worshipful Śrī Śrīla Prabhupāda. 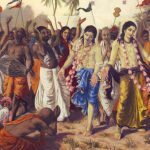 Pūjyapāda Mahārāja appeared in a religious brāhmaṇa family with the surname ‘Pāṇḍā.’ The family lived in a small village called Duramuṭha, which is in the Kāñthi subdivision of the Medinīpura district of West Bengal. 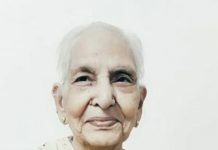 His mother and father, who were both devotees, were amazed to see their darling son’s natural attachment to the Lord from early childhood, and they always prayed at Bhagavān’s lotus feet to grant him a long and devotional life. 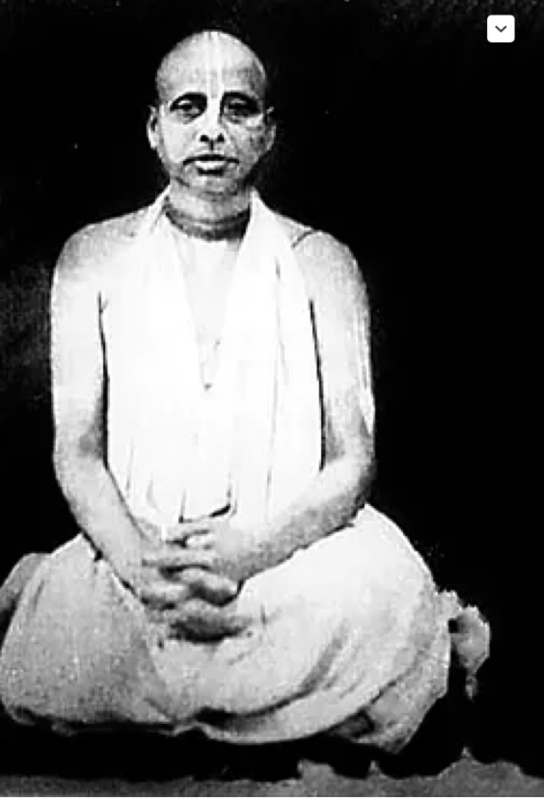 In 1926, on the auspicious occasion of Śrī Śrī Gaura’s appearance, he received śrī harināma mahā-mantra and īṣṭa-mantra dīkṣā from śrī gurupādapadma, and thereafter became known as Śrī Sarveśvara dāsa Brahmacārī. 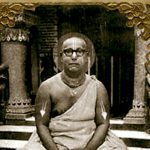 On the instruction of Śrīla Prabhupāda, he engaged himself with great conviction in the ritual worship (arcana) and service of Śrī Śrī Guru-Gaurāṅga Gāndhārvikā-Giridhārī-jiu three times daily at the principal temple, ākara maṭha-rāja Śrī Caitanya Maṭha in Śrīdhāma Māyāpura. He also diligently studied Śrī Harināmāmṛta-vyākaraṇa and other scriptures at the maṭha’s institute for higher learning. Never wasting any time in sleep, laziness or idle gossip, Śrī Sarveśvara Brahmacārī spent all of his time in the practices of worship as directed by his śrī guru; serving Śrī Hari, guru and Vaiṣṇavas; and studying Śrī Bhagavad-gītā and Bhāgavatam. In this way, he exhibited the exemplary character of a resolute sādhaka. The scriptures state, “kṛṣṇa-bhakte kṛṣṇa-guṇa sakali sañcāre—Kṛṣṇa infuses His devotees with all of His qualities.” Truly, Śrī Yāyāvara Mahārāja was ornamented with endless Vaiṣṇava qualities. The simple language he used to explain extremely difficult philosophical concepts charmed scholars and non-scholars alike. All types of listeners yearned to repeatedly hear his unprecedented lectures on scriptures like Bhagavad-gītā and Śrīmad Bhāgavatam. 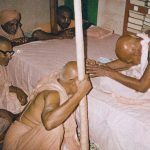 I personally witnessed pūjyapāda Yāyāvara Mahārāja attract the hearts and minds of the chairman, the chief guest, and all the earnest listeners gathered at an illustrious assembly of learned scholars at Śrī Caitanya Gauḍīya Maṭha in southern Kolkata. Even while he was ill, with the help of his scholarly disciples, pūjyapāda Yāyāvara Mahārāja published several books, one of which was his Śrī Śrī Bhāgavata-gītāmṛta. In the first and second sections of this book, he published several songs he composed himself. Of the contents therein, the poetic and simple explanations of Bhagavad-gītā and the four-verse (catuḥ-ślokī) form of Bhāgavatam are particularly worthy of careful study. The founder of Śrī Caitanya Gauḍīya Maṭha, nitya-līlā-praviṣṭa pujyapāda tridaṇḍi-gosvāmī Śrīmad Bhakti Dayita Mādhava Mahārāja and pūjyapāda Yāyāvara Mahārāja were especially close friends. 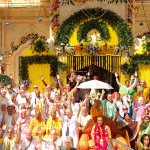 During the various special festivals organized in Śrīla Mādhava Mahārāja’s centers, pūjyapāda Yāyāvara Mahārāja would come and grant all his godbrothers and their disciples the great fortune of his rare association. He would especially visit the Kolkata maṭha often, even apart from festivals, and bless us with his divine association. Today, recalling the heartfelt, genuinely affectionate words he spoke during such visits causes my heart to become exceedingly agitated and overwhelmed with emotion. 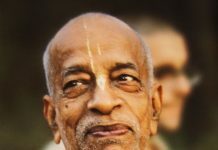 Srila Bhakti Srirup Siddhanti Goswami Maharaj says….